“Music has played an important part in the celtic society for centuries. It has been the glue of the community in times of trouble as well as in times of celebration. It is from this desire to be that glue of the community that Sliotar got started. 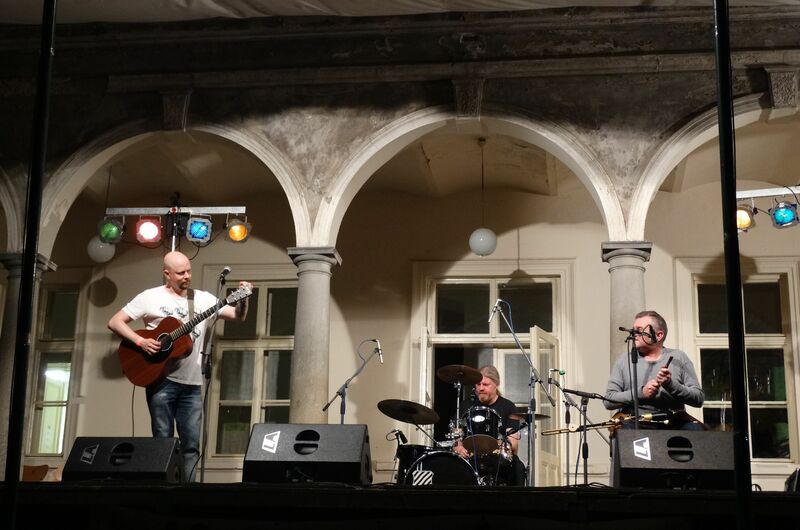 From the early days of playing The Porterhouse Des Gorevan, Ray MacCormac and J.P. Kallio have navigated their crew of three to become a regular feature on the European festival scene. Their live show is known to have addictive quality, that the bands followers travel far and beyond to hear. It is celtic music that connect people.